DIARY OF A PUBLIC SCHOOL TEACHER! 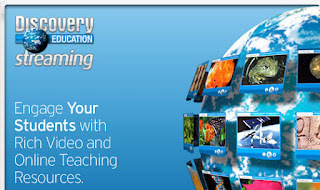 : Discovering "Discovery Education! It's Not Just Videos Anymore!" Discovering "Discovery Education! It's Not Just Videos Anymore!" I remember when I began using Discovery Education. It was years ago, and I was excited because they had great videos per United Streaming, that I could show my students! Well, Discovery Ed has come a long way baby, and it's not just about videos anymore! As a matter of fact, there is so much more to Discovery,that I couldn't possibly cover it in this post! Yeah, they still do videos, tons and tons of video,on every subject. You can sort the videos by grade,subject,media type, and even curriculum standards. They have full videos, segments, that can be watched right away or downloaded.Many of the videos come with a Blackline Master guide and/or a Teacher's Guide. Why reinvent the wheel? And once you've found the resource you need, you can save it in your own personal folder. And they are not just about videos, You can also download images,songs, articles, and writing prompts.. If you or your students are putting together a presentation via a web2.0 tool, such as, Nearpod, Sliderocket, Animoto, or Thinglink, this is a one stop shopping website! Builder tools allow you to create assignments, quizzes, and writing prompts. Teachers can also set up student accounts which can be accessed at school or at home using the Classroom Manager.The Teacher Center provides tools and resources , calendar, STEM,, library, and much more. Are you a lifelong learner? Discovery Ed is here for you. They offer many opportunities for professional development. 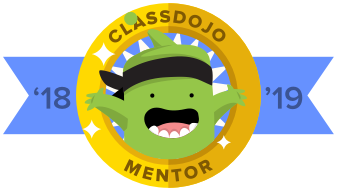 Youtube channel, webinars, in person workshops, blogs, they even offer a community on Edmodo! 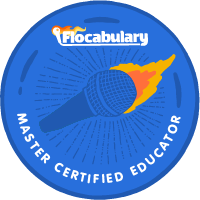 Their goal is to provide you with all the tools you will need to meet the needs of your students. Trust me, I am a big fan of free, but there are some things worth paying for.When the district decided to stop paying for Discovery Ed, my principal questioned whether we still needed it. There was no question in my mind. Click the link and discover the hidden treasures in Discovery Education! Great post! 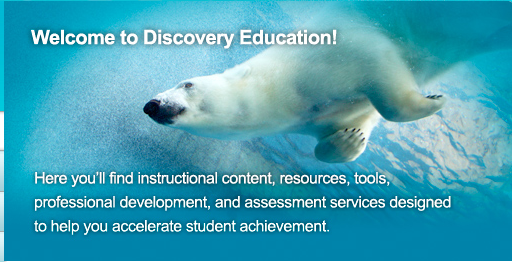 Really like the updated Discovery Education! 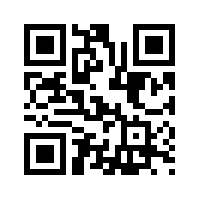 I added your site link to my Blogroll at "Teague's Tech Tricks"
Thanks for the extra info. I'm just getting into using their videos, as I'm a relatively new teacher, and I see there's much more to check out. Fabulous Phone Call! : Go Ahead, Make Their Day! There's No Crying WHILE Teaching! The Blog You Have Reached Has Been Disconnected!